White Shaka: Trayvon WIlliams - George Zimmerman: The Attitude Gap? Trayvon WIlliams - George Zimmerman: The Attitude Gap? We see the same facts but vastly different perceptions. 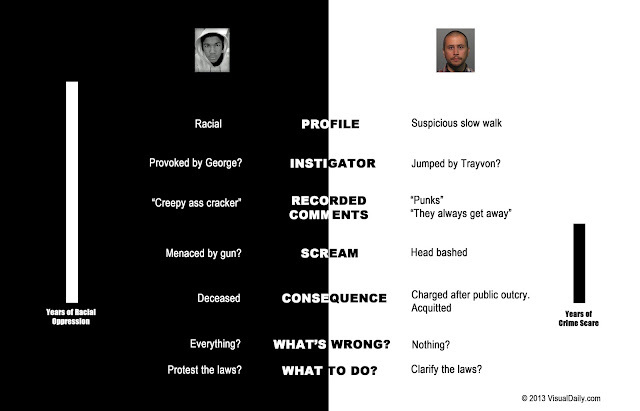 This graphic from Visual Daily shows how to visualize the two opposing perspectives.